First off, I play for fun and only when I have time, which as a mom and a full-time writer, means I don’t have a lot of time to sit in front of the TV and play a game from start to finish, so I set time aside for this one. From the very start, I was scared sh**less. And you can ask my kids if that’s true, because they heard me scream out loud (something I don’t really do often…yes, I’m a girl, but not a girly girl) more times than I can count on my fingers. This is a survival game, not a shoot ’em down and blow it up, kind of game. All you are doing is trying to stay alive. 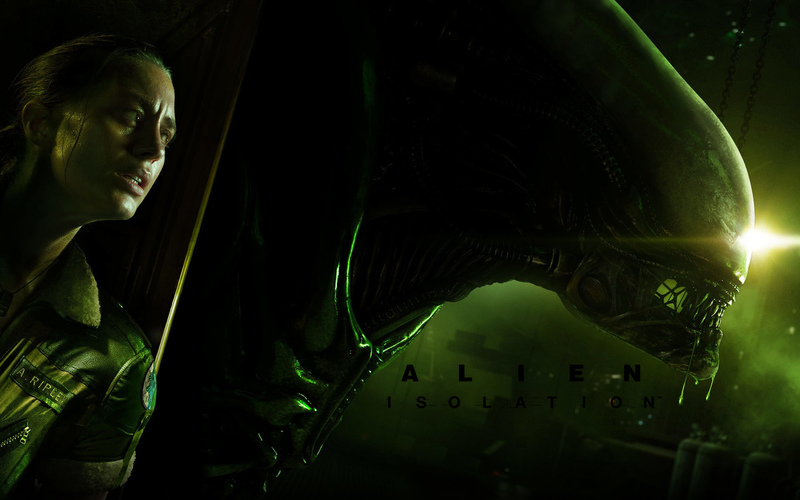 Not the usual game that I’ve played, where I learn rather quickly how to take out my opponent…in Alien: Isolation, I just hoped to live long enough to make it to the next save point. I’m embarrassed to admit I died more times than I have in any other game. Ever. Don’t ask me how many times…*cough, cough – double digits – cough, cough*…because I won’t tell you the number. Nope. I’m keeping that close to the vest. Anyway. 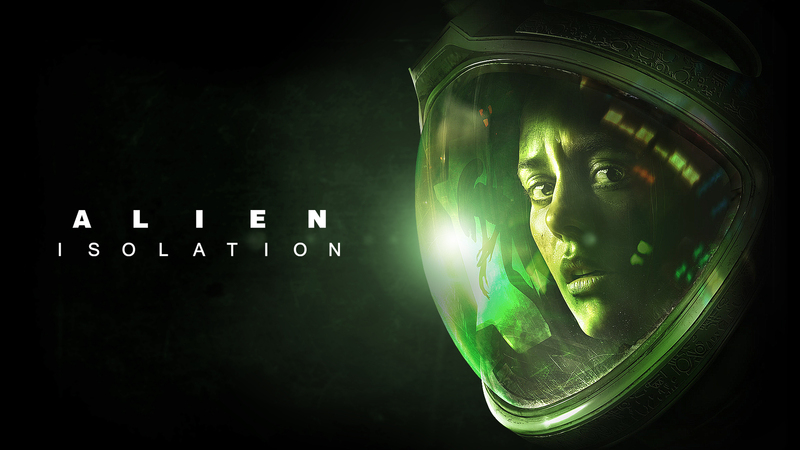 The first time this game made me nearly jump out of my clothes and fall off the couch, my son happened to be in the room, so my loud and high-piercing scream startled him more than the high-definition Alien in the face on the TV screen did. After that, he stopped sneaking out into the living room to watch me play. This is the first game in so long I can’t remember, that I also had a hard time playing at night. Crawling through air shafts with a dead flashlight (say it isn’t SO), hiding in cabinets and under tables, sprinting down hallways when you KNOW something is behind you, and opening doors to find something unpleasant on the other side…well, none of these things were all together FUN to do when my house was dark and I was alone in the living room. See, I mostly played while my hubby was working his night shifts, so as not to spoil the game for him. I’m a good wife like that. It’s not that this game is too terrifying for the masses, but that it hits my horror button much like the first movie did. I grew up with the Alien films, and have always loved them (the first two) and always found them happily frightening (I’m weird because I enjoy getting scared). Perhaps that is why this game freaked me out so much. Too much of that nostalgic feeling of ‘scare-the-pants-off-ya-horror-80’s style. In that regard, it might not be as intense for some players. I will admit that it was hard for me. And I don’t mean that lightly. Some of this might be because I don’t play games every week, so my controller skills are not as impressive as a true gamer. 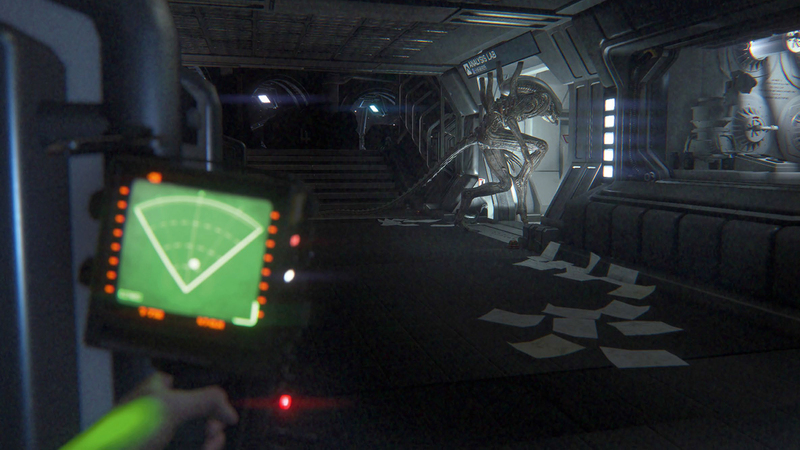 But this one took a long time to complete and there was a lot – a LOT – of running back and forth and me getting pissed because I couldn’t figure out what to do next, “I DON’T KNOW WHAT I’M SUPPOSED TO BE DOING!” and then, “OH, CRAP, THERE’S THE ALIEN! NO, DON’T KILL ME!” kinds of moments. There are games I’ve played that have a ton more action and are half as long as this one, but I kind of liked that the story wasn’t over in four hours. It’s complex, y’all.